Life is a constant process of trying to establish a harmony of body, mind, and spirit. So to achieve a new level of well-being, to discover health and happiness, to create the foundation for a creative and successful life, and to grow spiritually and even attain enlightenment, we need an understanding of the basic principles of energy that operate within our being. Jing is our deepest source of energy. It is our life force often associated with the reproductive system — sperm for men, eggs for women. We can preserve Jing by directing this energy into productive outlets, rather than wasting it through excessive sexual activity. The candle itself, including the wax and wick, the essence of the candle governing its life expectancy, is analogous to jing. Qi is the energy of life that we acquire through breathing and eating. We can cultivate qi by eating lots of raw vegetables, exercising regularly, and practicing pranayama breathing exercises. 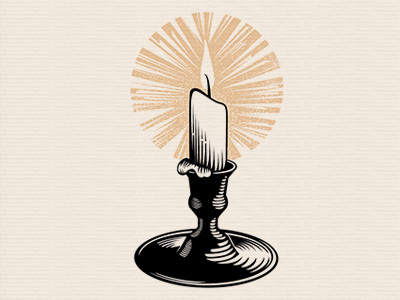 The flame, the actual activity of the candle, is analogous to qi. Shen is the energy of consciousness and awareness. We can maintain shen by practicing meditation, which enables us to quiet otherwise ceaseless mind chatter, and by practicing mindfulness, which allows us to increase our capacity to engage all five senses and notice things happening in our external environments. The light given off by the candle, the ultimate purpose of the candle, is analogous to shen.